Head Cardiac Imaging, Joined Department of Medical Imaging (JDMI) at University Health Network, Mount Sinai Hospital and Women’s College Hospital. Dr. Wintersperger graduated from the University of Munich in 1995 and completed his residency training at the University of Munich Hospitals-Campus Grosshadern. After serving as a staff radiologist and section chief of General Radiology and cardiac MR imaging at the Department of Clinical Radiology at the University of Munich he joined the Department of Medical Imaging at the University of Toronto as an Associate Professor of Radiology at the University of Toronto. He also remains an adjunct Associate Professor of Radiology at the University of Munich. 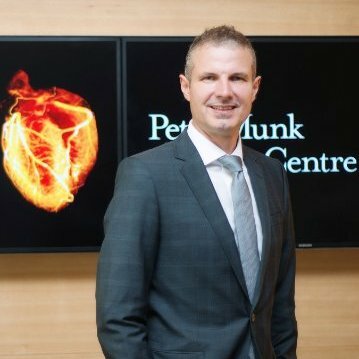 Dr. Wintersperger’s research focuses mainly on cardiovascular CT and MR imaging but also on therapy response biomarkers in antio-angiogenic tumor therapy and contrast agents resulting in more than 120 peer-reviewed articles and more than 250 scientific abstracts and invited presentations. He is an educational program speaker for the European Society of Radiology (ESR) and International Society of Magnetic Resonance in Medicine (ISMRM) and a member of various professional Radiology & Cardiology societies. He also holds administrative positions at ISMRM and American Heart Association where he is currently acting as the International Mentoring Representative & Coordinator for the CVRI Council. Dr. Wintersperger is on the reviewer panel of various radiology and cardiology journals, is a member of the Editorial Board for European Radiology and Investigative Radiology and is the responsible Associate Editor for all Cardiac Radiology Submissions of Investigative Radiology.